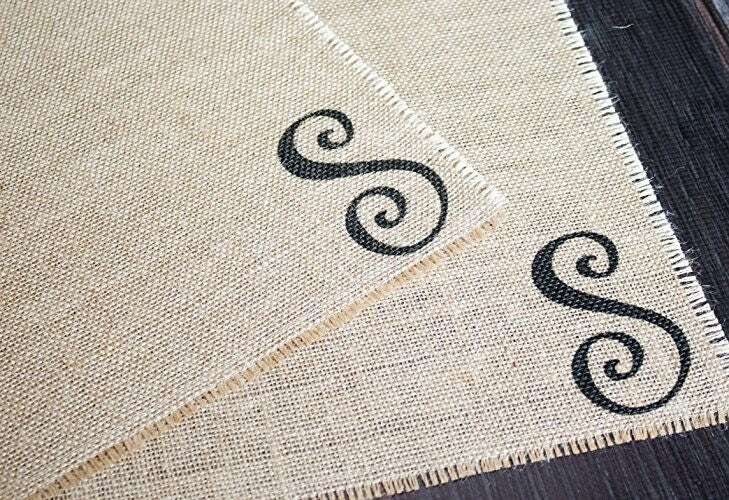 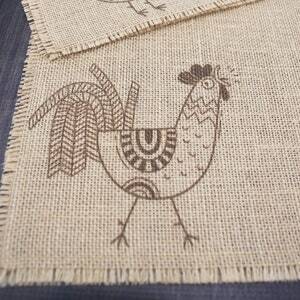 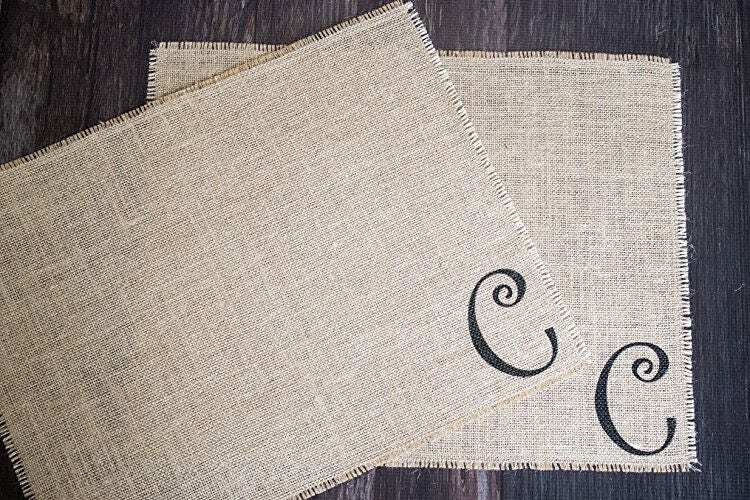 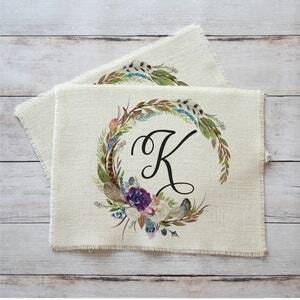 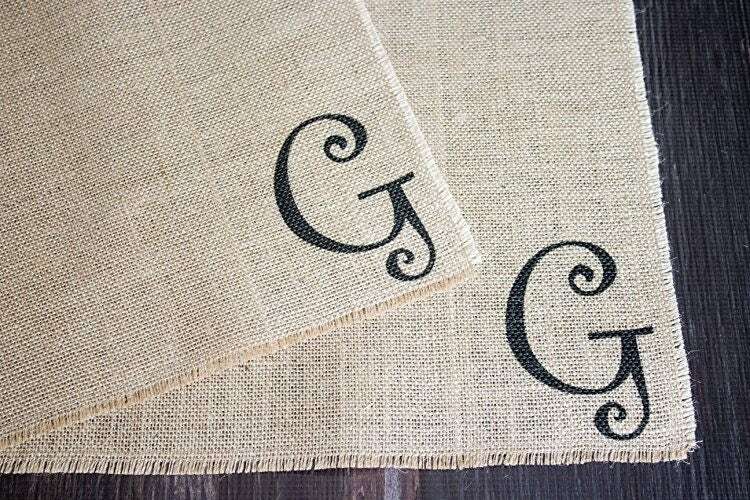 Host dinner in handmade style with this pair of two monogrammed burlap placemats! 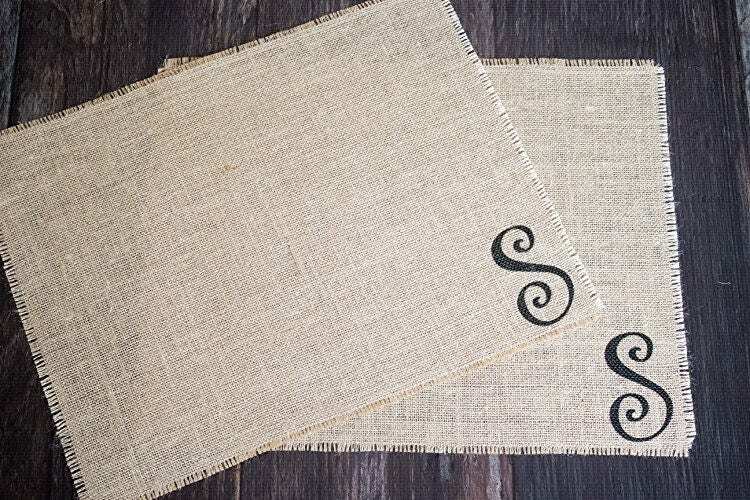 Burlap is a fantastic fabric because it blends with so many decorating styles; shabby cottage chic, farmhouse country, western ranch, contemporary rustic, it's sure to fit nearly any home decor style. 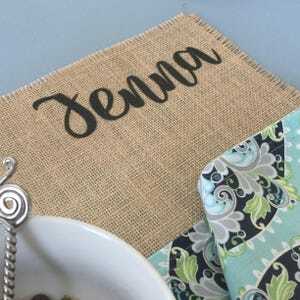 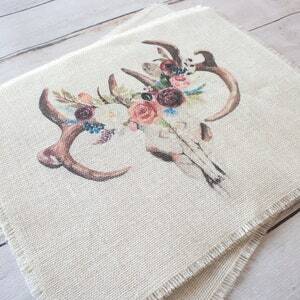 These placemats are a unique and creative gift idea; from Mother's Day to housewarming to birthday celebrations, what better way to surprise someone than with a personalized, handmade present.